Mark Harris spent 23 years in the U.S. Marine Corps, serving as a scout sniper and in special operations in Force Reconnaissance units. He is certified as a Special Forces free-fall parachutist, combat diver, U.S. Army Ranger, and U.S. Marine Reconnaissance and Mountain Leader. After retiring from the Marine Corps in 1998, Harris spent 16 years in a wide variety of leadership positions in the Guilford County School Systems. In 2015, he was named Dean of the High Point campus of Guilford Technical Community College. Having teamed with Bob Uber, Founder and President of the Heroes Center, Harris leads the charge of turning Uber’s vision into reality. Victor Jones was a member of the US Marine Corps from 197-2010 who served in Operation Iraqi Freedom and in Korea. He was elected to the High Point City Council in 2017 and is the owner of Patriot Insurance and Mortgage Protections Services, Royal Limousine of Greensboro LLC, Jones Legacy Transportation LLC, and Jones Legacy Properties LLC. He has also been a movie producer, TV producer, and actor. Jones serves on multiple Boards of Directors in the Guilford County area. Dr. Woody Gibson, a Vietnam veteran, worked at High Point University for 38 years in several capacities. He coached soccer and golf for over 20 years, was the Director of Athletics from 1998-2008, and retired as an associate professor in the School of Business in 2012. He has served as Chairman of the Board of Trustees at Oak Ridge Military Academy and is currently the Chair of the Board of Directors for the Guilford County Sports Hall of Fame. Gibson is a member of four Sports Halls of Fame. Jeffrey Champigny, a native of Smithfield, RI, is a finance advisor with Merrill Lynch, Pierce, Fenner & Smith. He graduated with a Bachelor’s of Science in Exercise and Sports Science from East Carolina and a Master in Education for Sports Leadership from Virginia Commonwealth University. Jeff and his wife, Ashley, and daughter, Charlie, reside in Greensboro, N.C. In his free time, he enjoys giving back to the community, running, traveling and attending live sporting events with friends and family. John Haynes has over 25 years of experience in K-16 education as a teacher, administrator, and student teacher adviser. Most recently, he served as President of Oak Ridge Military Academy. Prior to that, he served as a teacher and Principal at Rift Valley Academy in Kijab, Kenya. He currently serves as the Training Director for Chick-fil-A Brassfield in Greensboro, NC. Mr. Haynes holds a Bachelor’s degree in Education from Asbury University and a Master's in School Administration from the University of North Carolina at Greensboro. In addition to serving on the Board of Directors for the Heroes Center, he and his wife, Melissa, remain involved in missions work as Affiliate Members of Africa Inland Mission, representing the agency to churches and individuals in the Triad Area. Brian Uber spent six years in Army National Guard to include a joint combat training exercise in Lithuanian. He is a graduate of Indiana University of Pennsylvania with a degree in Criminology. Uber currently resides in High Point with his wife Jen and 4 children. He is a sales rep for Attractions Guide that markets coupon books across the Triad area. Hank Park is a partner in multiple companies throughout the U.S. He is a regional partner for MG Malls/MG OOH specialty media company headquarters in New York City. Hank is the partner for the SouthEastern U.S. Hank is also the Vice President of Sales and Marketing for AVL Environments a national audio/video/lighting/ control design integration firm based out of Kernersville,NC. Over the years he has owned multiple businesses throughout the country and overseas. Before joining the corporate world. Hank served 9 years in a combat role with The Marine Corps. He deployed to Panama, Persian Gulf, Bangladesh, Somalia. Hank left active service at the rank of SSGT. Bryan Norris is an Account Executive with WFMY News 2 in Greensboro. He previously spent three and a half years as the primary fund raiser in the Department of Athletics at High Point University and earlier worked for a year as a major gifts officer for Franklin &amp; Marshall College in Lancaster, Pennsylvania. A 2003 graduate of West Chester University (PA), he also earned a master’s degree from West Chester in 2005. An active member of the Rotary Club of High Point since 2014, Norris also has served as a fund raiser and treasurer for High Point major, Jay Wagner, since May 2017. He is married to Lauren, has a daughter, and lives in Greensboro. Pat Tillman has been Director of Accounts at Alderman Company in Greensboro since 2011 after serving from 1997-2010 as a staff non-commissioned officer in the U.S. Marine Corps (Reserves). He is a combat veteran of Operation Enduring Freedom in 2003 and Operation Iraqi Freedom in 2005. Tillman has served on the Guilford County Board of Education since January 2017. He is a former Executive Director and Vice-Chairman of the Guilford County Republican Party. Tillman graduated from Appalachian State University in 1997. Born in Greensboro NC. Graduated Western Carolina Univ 1969 with BS Business Admin Concentration in Accounting. Returned to the triad after graduation. Worked in accounting and small business. Independent Associate with LegalShield since 1998. Served in the North Carolina Army National Guard October 1969 through October 1975. Eric grew up in Charleston, WV and attended West Virginia University where he obtained his Bachelor of Science in Mechanical Engineering in 1990. After graduating from WVU, Eric moved to High Point, NC and worked for a large electronics component manufacturer. Eric attended the University of North Carolina at Greensboro and graduated with a Master’s degree in Business Administration in 1996. Eric also obtained his professional engineering license and is a Registered Professional Engineer in multiple states. Eric is the owner of Efincia Engineering, PC, Efincia Construction, LLC and Dickinson Consulting, Inc. Eric holds unlimited General Contractor licenses in NC, SC, TN, VA and WV. He also holds unlimited plumbing and electrical and HVAC licenses in multiple states. Eric’s hobbies include basketball, exercising and hunting. Robin Hamilton is a native of Danville, VA, worked for ConvaTec, A Bristol Myers-Squibb Company in Greensboro, NC for 29 years as a Quality Assurance Lead retiring in April 2017. She graduated with a Bachelor’s of Science in Business Administration from High Point University. She has been in the United States Navy Reserves since 1984, obtained the rank of Chief Petty Officer, served during Desert Shield/Desert Storm, called up for Emergency Orders two weeks after 911 to Pearl Harbor, HI and then on January 9, 2002, officially mobilized on active duty for 4 years in support of Operation Iraqi Freedom/Global War on Terrorism. During this time serving at Menwith Hill Station, Harrogate, England, United Kingdom, Stuttgart, Germany, Pentagon, and the National Infrastructure Protection Center/Federal Bureau of Investigation Headquarters (Department of Homeland Security), both in Washington, DC, and Joint Interagency Task Force South, Key West, Fl. She is currently the Officer in Charge of the Volunteer Training Unit, Navy Operational Support Center (NOSC), Greensboro, NC and also serves as Lead for the Funeral Honors Team for NOSC’s Greensboro, Charlotte and Raleigh, performing over 120 Funeral Honors a year for the Navy. 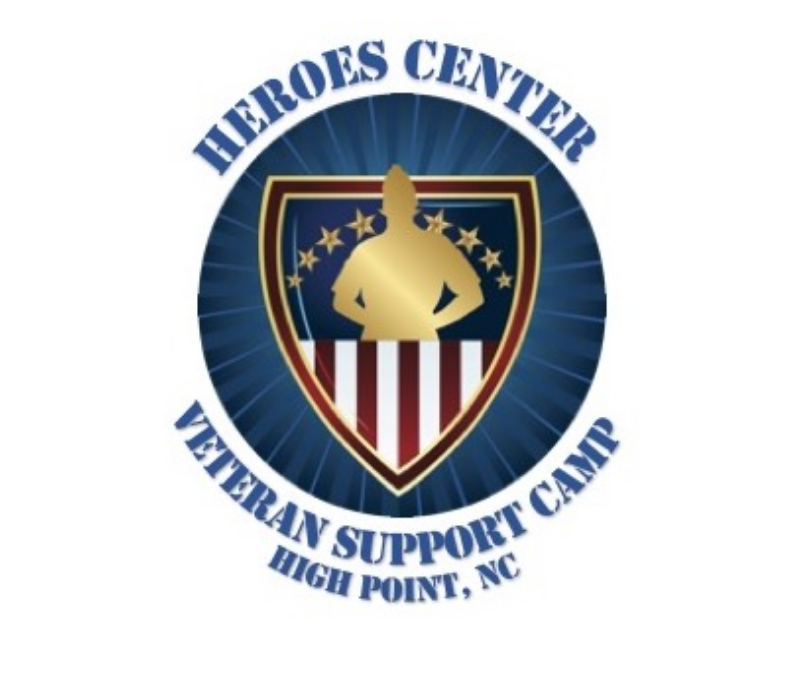 Along with the Heroes Center, Robin is a NC Field Representative for Women in Military Service for America Memorial Foundation, Women Veterans Empowered Together (WVET), Director of Communications, HOA, The Vineyard, a member of the American Legion, and a member NOSC Greensboro, Piedmont Triad, and the NC Chief Petty Officer Mess’s. Robin resides in High Point, NC.